Graduation is coming up and many college grads are facing an economy and job market that is still on the mend. You may find that writing a resume exposes a couple of weaknesses that could hamper your job search– if you don’t know how to spin them into strengths. 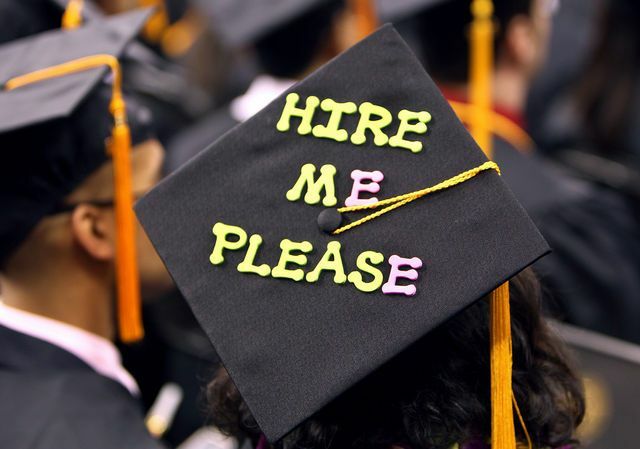 Below, are two common issues that new grads face while searching for employment. Not having enough experience in a field is a very common issue for job applicants, especially those that are new to the workforce. Fortunately, this could be an easy spin. If you’re lacking the experience needed, highlight the skills and traits that show that you are a fast learner. Most employers just want to know that you will fit in their organization. They can teach a person the skills needed to succeed in a job, but they can’t change a personality trait. Focus on the experiences that you’ve had as an undergrad. Working on group projects shows that you can be a team player and highlight leadership skills. The fact that you worked a part-time job while participating in three different clubs shows you have superior time management skills. Also, include any volunteer work, as it will show your interest in not only skill-development, but personal growth as well. Be sure to look at the job description you’re applying for and frame your experiences accordingly. If you’ve held several short-term jobs that have related skills, consider listing them under a collective heading as though you are focused on building an interest in the skill set. Grouping any similar project-based or freelance work together makes you look more experienced. Don’t list every job you’ve had if some of them aren’t relevant to your new position and don’t list the months in your timeframes. December 2013- April 2014 gives off a very different impression than simply listing 2013-2014. You want to give the impression that you were there for a longer period of time. Resumes a marketing tool rather than a life history, so put your best page forward. Do you have any other tips or advice for job hunters?